Austria goes to the polls tomorrow to select 183 members of the Nationalrat (National Council), the lower house of Austria’s parliament — but by far the most important. What better musical selection than Johann Strauss II’s Kaiserwaltzer? Austria’s elections are determined on the basis of proportional representation, so no matter who wins, Austria will have a coalition government. The most likely result, according to polls, is the continuation of a ‘red-black’ or ‘grand’ coalition between the two dominant parties in Austrian politics, the center-left Sozialdemokratische Partei Österreichs (SPÖ, Social Democratic Party of Austria) and the center-right Österreichische Volkspartei (ÖVP, Austrian People’s Party). Polls also showed the anti-EU, anti-immigration, right-wing Freiheitliche Partei Österreichs (FPÖ, the Freedom Party of Austria) gaining ground, but still in third place. Though Austria’s chancellor Werner Faymann leads a consensus-driven government, he’s in some ways the opposite of German chancellor Angela Merkel, whose own center-right party won a huge victory just last weekend. With an approach that’s leaned away from the austerity budgets of much of the rest of Europe, Faymann has boosted Austrian spending over the past five years on stimulative measures, including a massive commitment to job training. That’s left Austria with the lowest unemployment rate among the 28 member states of the European Union. Even if the SPÖ and the ÖVP win the largest and second-largest shares of the vote, they may still not win enough seats to form a majority because up to seven parties could win seats today. Austria’s Die Grünen – Die Grüne Alternative (Green Party) will likely be the fourth-largest party in the National Council, but three smaller parties could also enter the parliament — the new eurosceptic Team Stronach, founded last year by Austrian-Canadian businessman Frank Stronach; the Bündnis Zukunft Österreich (BZÖ, Alliance for the Future of Austria), a liberal splinter group of the FPÖ; and Das Neue Österreich (NEOS, The New Austria), a new liberal party that formed last year as well. While we still bask in the glow of tectonic movement between the United States and Iran, as well as an apparent resolution among the Security Council over Syria’s chemical weapons, there’s a third diplomatic front to keep an eye on. For all of the hype over the potential meeting between US president Barack Obama and Iranian president Hassan Rowhani earlier this week at the United Nations General Assembly, tomorrow’s meeting between Pakistan’s new prime minister Nawaz Sharif and India’s outgoing prime minister Manmohan Singh comes at a crucial time — in the wake of an attack by Pakistani militants earlier this week in contested Jammu that seemed designed to keep the two south Asian neighbors at odds. Boosting regional security will be even more important as the United States draws down troops from the Af-Pak theater in 2014. Aside from Pakistan’s election in May, Iran’s election in June and India’s elections next year, Afghanistan will elect a president next spring and Bangladesh will hold elections in January. That means we could see five new leaders in the span of one year in southwest Asia, in addition to this year’s leadership transition in the People’s Republic of China. 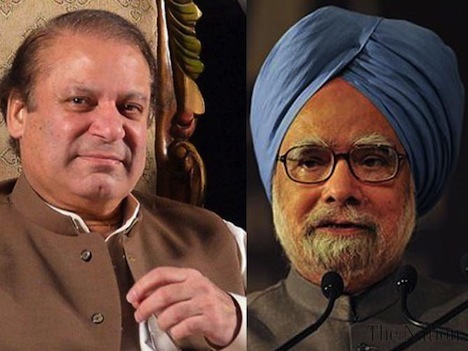 Greater ties between India and Pakistan could boost both countries’ underperforming economies. Freer trade is low-hanging fruit. The meeting can cement Sharif’s credentials as a strong — and democratic — leader as he contemplates who will succeed Ashfaq Parvez Kayani as the next army chief of staff. Finally, while the world cares more about the potential of a nuclear-armed Iran, it’s easy to forget that both Pakistan and India have had nuclear weapons for a decade and a half. Cooperation between the two countries not only improves regional stability, but global stability.